On the International Children’s Day, how does reality look like? Right to life, education, freedom of speech, rest & leisure? Values of tolerance, elimination of all forms of discrimination? Recruitment of children in armed conflicts? 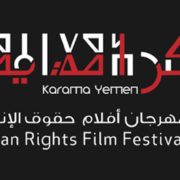 An infographic film produced by Karama human rights Film Festival and ANHAR, Arab Network for Film Festivals on the occasion of the international day for children.